Paitoon Car Rent, one of the best car rental companies in Phuket offers you a wide selection of cars and motorcycles for rent as well as taxi services in Phuket at the most reasonable rates. Paitoon Car Rent where you can find the best car rental deals Phuket has to offer is a reliable and affordable Phuket car rental company with strategic location at Cherngtalay area. All our rental cars and motorcycles are maintained to the highest standards. We provide you a great range of vehicles for your business or leisure car rental needs in Phuket. We offer daily rental car and long term car rental can be customized to meet your needs. Paitoon Car Rent also provides exceptional services to every car rental in Phuket. We can offer a drop off and pick up service anywhere on Phuket Island. 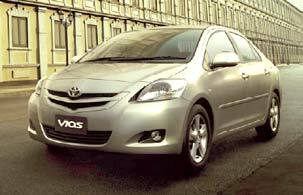 Are you looking for a reputable and reliable car rental company in Phuket? Select Paitoon Car Rent where you can find the best car rental in Phuket.